Persona 5. 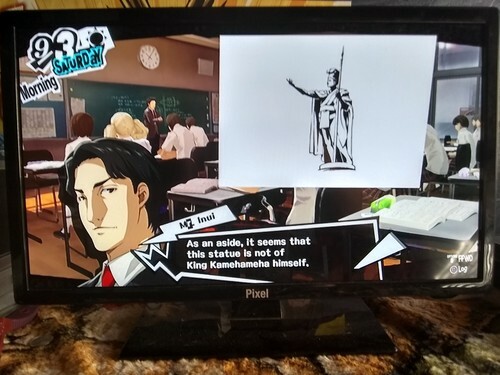 Persona 5 had a Dragon Ball reference when the teacher asked Akira/Ren/Joker a pregunta about a statue and Hawaii. One of the respuestas was a Dragon Ball for what the statue could be holding. And founder was named Kamehameha.. HD Wallpaper and background images in the anime club tagged: persona 5. Persona 5 had a Dragon Ball reference when the teacher asked Akira/Ren/Joker a pregunta about a statue and Hawaii. One of the respuestas was a Dragon Ball for what the statue could be holding. And founder was named Kamehameha.